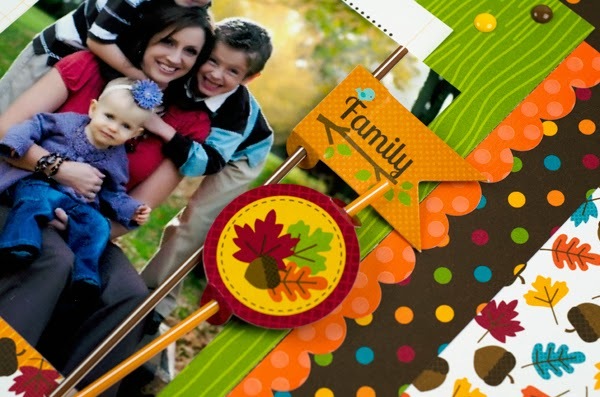 This layout was done using the Happy Harvest Collection by Doodlebug Design. 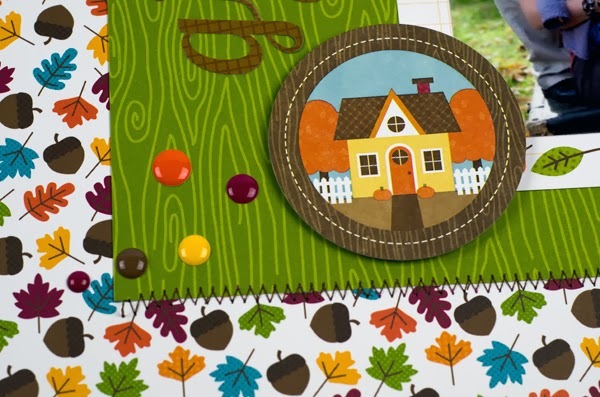 The colors in this collection are perfect for fall and Thanksgiving, and are vibrant and beautiful. I used Pixies on my layout, as I have with several other Doodlebug projects lately. They are one of my favorite new embellishments. Adhere with pop dots. The Sprinkles are another fun new embellishment. They add shine and dimension. And the title is actually from a sticker sheet and says "Thanksgiving." I simply cut the two words apart and adhered them in a different order. It's always easy for me to count my blessings, although I may not do it as often as I should. 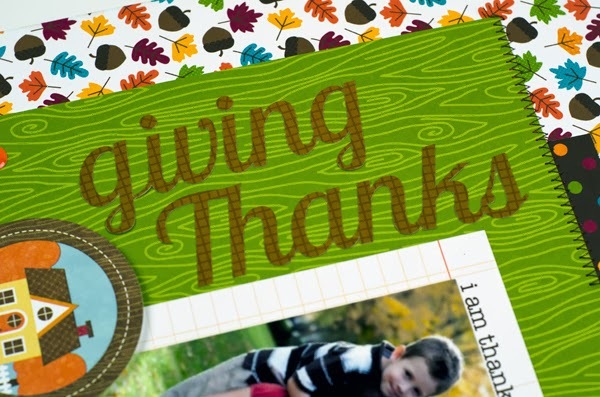 I kept my layout for today pretty simple by focusing on two subjects that I'm greatly thankful for: home and family. As you can see, I have two large circles in the center of the page...it's my "plate of thanks" :) Before adding the photos, I cut a strip of paper and then stitched a few X's over the center for decoration...sort of like a napkin laying to the side. Appropriate stickers were attached to each photo, as well as some of the cute characters from the Happy Harvest Collection. For the heading of the layout, I trimmed down one of the Simply Put cards to the size of my photo.